The sponsor for January's challenge is Ericraft Shop, who has the most gorgeous digi stamps. I chose this one because I thought it looked so cute plus I simply love the sentiment! Love the bright colours on this - cheers me up !!! Thank you June. 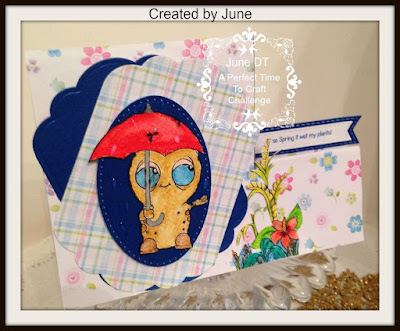 A real cute card June. Thanks for sharing this.